The viral video of a young girl showing preference to being caned to being sent home for owing school fees has generated various reactions. She is a pupil at Okotie-Eboh Primary School 1, Sapele Local Government of Delta State. Aside the philanthropic gestures extended to the girl, this had particularly brought concerns to the recurring situation where children are punished over their parents’ inability to pay school fees. ABDUSSALAM AMOO writes on this uncontrolled trend and the way forward. Success! That is the name of the girl in that viral video who wanted to remain in school at all cost, even if it meant flogging her for owing school fees. Based on the content of the video that had now attracted the about six year old girl philanthropic gestures of voluntary scholarship fund donations and visits by government officials, she felt that there was no need sending her home since “she” would eventually pay up the school fees owed. Success considers education as a medium to be successful in life is not mincing words in promising to deal with her school for sending her home. From the video, the little girl is one that understands the situation at home. That is why she said that teachers should at least flog her and allow her to stay back in school. 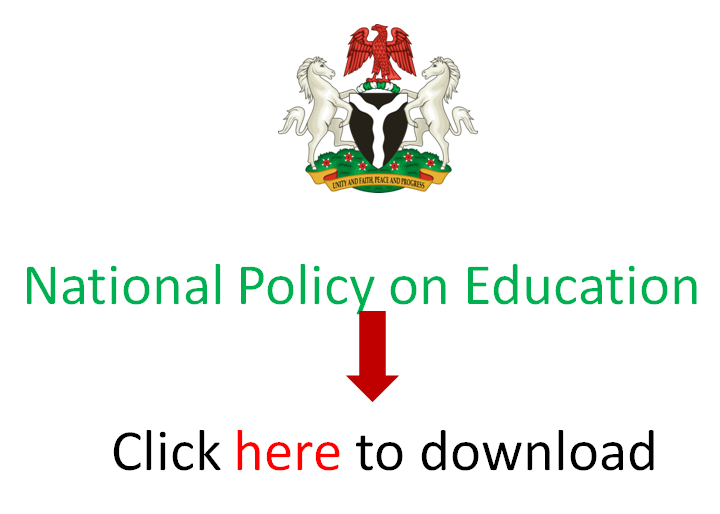 The Nigerian public education system does not legally charge school fees. That is based on provisions of the Compulsory, Free Basic Education Act of 2004, which makes education free for the six years of primary school education and the three years of junior secondary school. In Delta State, Southern Nigeria where the video was shot, the government does not charge school fees in its schools. The video apparently irked the state government, which wondered why the school’s headmistress was charging “examination levy” and suspended her for that. A private school owner who weighed in on the subject expressed concerns that parents “deliberately” owe school fees. The school proprietor who preferred to stay anonymous noted that schools have bills to pay and would use every means available to get the money from such parents. “It is not our fault that we have to send children home. My colleagues and I are very considerate,” Mr Olusoji Oni (pseudonym) said. When a child is either flogged or sent home from school because of tuition debts, it is the child that suffers rather than the parent. Child protection practitioners believe that there could have been a better way to retrieve such debts rather than flogging a child or sending her home. National Coordinator of Child Network, Ngozi Ekwerike-Okoro said sending a child home for school fees her parent is meant to pay puts the child at a disadvantage. She said, “I feel bad when I see schools drive children home. If you drive a child away from school, will you reduce the money of the time the child is not in school? Mrs Ekwerike-Okoro also raised safety and security concerns about the situation. She also condemned the possibility of teachers or members of the school management flogging students. “Even those who see need to flog them (for owing school fees) are wrong. Is it the child that is paying the school fees? Of course not. “So, flogging the children is out of it. The most important thing is for you to contact the parents,” she added. The effect of punishing children whose parents owe school fees could also be psychological, as child rights advocate, Grace Ketefe sees it. “Sending children home affect them psychologically,” Ms Ketefe of the Cece Yara Child Advocacy Centre said. “Some children do not want to be embarrassed. They feel discriminated against. So, any child you ask to go home will feel sad. Ekwerike-Okoro linked parents’ inability to pay school fees to the economic situation in the country. “In some schools, what they do is that they allow the child to stay and write the exam. But they would seize the results. So, any time they bring the money, you can release the result. But Mr Oni said that it does not matter how long parents are given to pay in some cases as those who “deliberately owe would still owe”. “Schools have bills to pay and the school fees largely determine how much they survive. “We have staff on our neck for their salaries just as we pay for electricity, water and other necessities. It is suggested by a parent, Olaide Oladunjoye that school owners look for another way around getting schools fees. Mrs Oladunjoye also feels that some parents make attending private school a status symbol even if they cannot afford it. She suggested that parents should be encouraged to enroll their children in public schools, which are relatively affordable. Ms Ketefe emphasised that parents get their priorities right. “Parents should have priorities,” Ms Ketefe added. “Instead of them spending money on the children’s school fees, they might be considering other issues. I don’t know about this particular child. But what is our focus? “We have to ensure that children have access to quality education. That should be our priority. It is either the parent is not financially buoyant or the parent is not being realistic. It is opined that governments at all levels should be seen as interested in education. Ketefe believes that things would have been better with a “responsive government” implementing the law. “If the government had been quite responsive, the child wouldn’t be in that kind of situation,” she stated. Oladunjoye also proposed that governments should build more schools to accommodate the ever increasing population of Nigeria. “The population is growing, so also should the establishment of government-owned schools,” she said. “The regulatory authorities of private schools within the government should also ensure that private school owners are doing very well and ensure that the child is not put at risk. Without pupils, schools cannot continue to exist. So, it is important that all stakeholders do their part towards protecting the interests of children irrespective of the schools they attend. In response to Mr Oni’s concern about how schools would settle bills when parents do not pay earlier, Ms Ketefe proposed that parents be made to pay fines. “I think there should be a policy that the punishment should go more to the parents. “The lateness for paying school fees should attract punishment (to parents), so the child does not suffer as a result of the parents’ negligence. “The penalty for that might be some percentage of increase after the first month added to the school fees. At least, the punishment is not on the child but on the parents. It is not the child’s responsibility to pay school fees. Aside penalties for late payment, schools may ask parents to pay in advance before the child is allowed into school. That would, at least, make the school owners be able to pay their bills. “Schools are faced with the responsibility of paying bills just as parents are. It is like a vicious circle,” Ketefe added.